At the annual Western History Association conference this past October in Denver, Colorado, I was reminded of the depth of history in the American West. Weirdly, that reminder came through the images of a little-known early twentieth century photographer of the region named Clyde McCoy, whose unsolved murder is the stuff of film noir. In a panel entitled “An Artists Eye: Photographs and Paintings of the Twentieth Century American West,” Michael Amundson discussed his discovery of McCoy’s photographs at a garage sale and his research into the photographer’s life and work. Amundson spent the better part of a year digitizing and restoring McCoy’s images of the American West’s most iconic landscapes, including the Grand Canyon and Yellowstone national parks. McCoy had taken his images using cutting-edge 3-D photography and Amundson had faithfully digitized and restored the images in 3-D, using similarly cutting-edge technology. 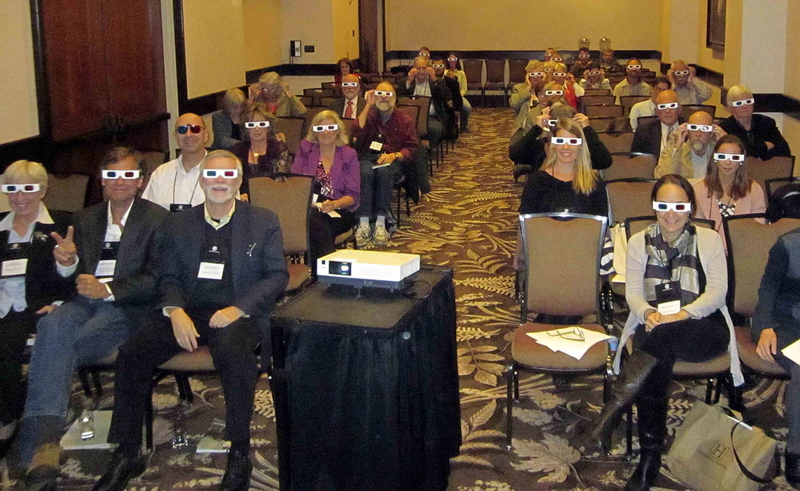 Amundson provided his audience with paper 3-D glasses to view the photographs and the audience put them on, eagerly viewing the images. They were stunning. Seeing the American West in multiple dimensions was breathtaking and invigorating, almost as if I was a part of the photograph itself. This is a sentiment that I took to heart as I left the conference—I should wear those 3-D glasses a little more often.